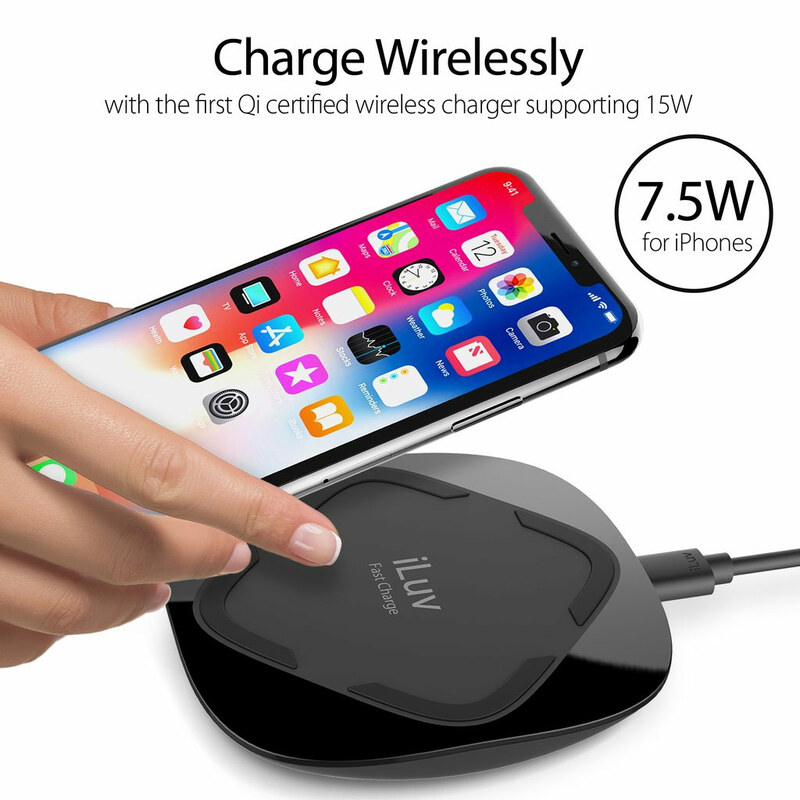 This is the first 15W Qi certified Fast Wireless Charger with 15W output which supports 7.5W for iPhone X/8/8 Plus when they are upgraded to iOS11.2. Power output varies, depending on your mobile device model. It is significantly faster than conventional 5W wireless chargers with its included QC 3.0 wall charger. 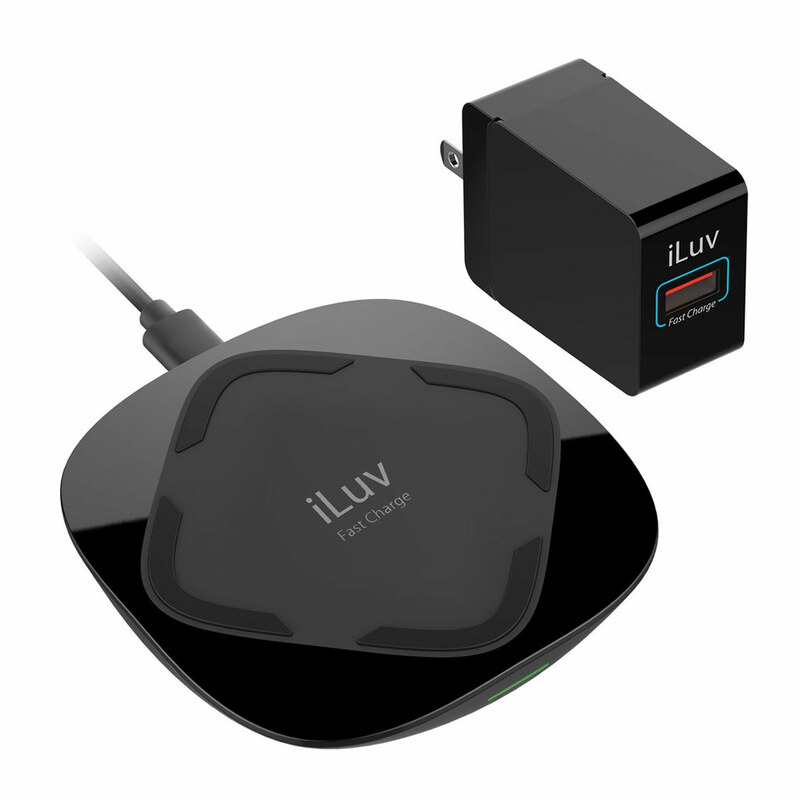 Provides fast charging up to 15W. Simply place your Qi-enabled device on the wireless charging pad. You don't even need to take off the case as it will charge through cases up to 0.12 inch. You can still charge wirelessly when your case is Polycarbonate (PC) or Thermoplastic Polyurethane (TPU); (non-compatible cases are those with magnets, metal, or finger ring). Power output varies per your mobile device. LED light shows charging status. Anti-slip rubber pad. Compatible with iPhone X, iPhone 8/8 Plus, Samsung Galaxy Note 8/5, Galaxy S9/S8/S8+, S7/S7 Edge, S6 Edge+, S6/S6 Edge, LG V30/G6/G4, Nexus 7/6/5, other Qi enabled smartphones/tablets and accessories. Includes Wireless Charging Pad, QC 3.0 Wall Charger, 3ft Micro USB cable, Quick Start Guide (QSG).